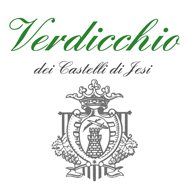 From a young age Giuseppe Ceschin had a great passion for wine, studying enology as soon as he was old enough and traveling around Italy gaining experience working for wineries in various regions. With the support of his wife, Carla, he followed his dream to Friuli, where the couple worked for thirteen long years before seizing an opportunity to purchase 35 hectares in Prepotto, near the border of Slovenia. The land was a long way from ready, but the Ceschins saw their future in it and dedicated the next decade to the hard labor of building terraces and planting new vineyards. In 1984 the family finally celebrated their first harvest and the realization of their dream. They chose the Friulian word for springtime as the name of the estate since it was the beginning of a new era in their lives. 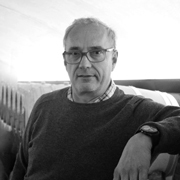 Giuseppe and Carla’s son, Giulio, says that he “grew up with their dream, breathing their passion, which helped me discover the fascinating world of wine.” Giulio and his wife Federica expanded La Viarte to 41 hectares, including 17 hectares of forest that they conserved to maintain the area’s ecological balance. After several decades managing La Viarte, Giulio decided to sell the estate to Alberto Piovan, bringing in outside management to ensure the long-term financial health of the property. Alberto has continued the focus on local heirloom varieties, such as Friulano, Ribolla Gialla, and Schioppettino, and has embraced the passion, perfectionism, and technical capabilities of the Ceschin family. 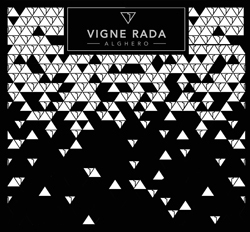 He has shown both his talent and his creative side in bringing exceptional new wines to market recently, such as a lightly sparkling, gently sweet Verduzzo, and deep, complex, incredibly age-worthy Pignolo Riserva. He is also producing some of the best Refosco, Cabernet, and Merlot in Friuli. With the investments Alberto has made in the vineyards and in the talent of his team, this estate is going to continue to be a lot of fun to follow in coming years. In Maligny, a village well-poised between Paris and Dijon, just north of Chablis, Olivier Savary and his wife, Francine, have been vignerons since 1984. Though many of Olivier’s family members were vignerons, an unfortunate series of challenging harvests discouraged his parents from joining the family business. Chardonnay runs strongly through his veins, however, and Olivier pursued wine school in Dijon regardless of the fact that he would have no vines of his own. Olivier and Francine arranged to farm some vineyard land en métayage (share cropping) in the Chablis and Petit Chablis appellations. 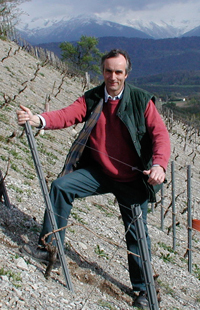 With his father at his side to farm the complex network of vineyards, Olivier initially sold off the majority of his production in bulk to a négociant. Emboldened by their years of combined experience and family history of winemaking, Francine and Olivier finally found their wings and began bottling under their own label. In 1990, Olivier's longtime friend and Chablis legend Jean-Marie Raveneau introduced Olivier to Kermit. Today, Francine and Olivier are joined by their sons, Maxime and Mathieu, whose ambition and young energy ensures a bright future for the domaine. The Savarys have finally earned the recognition for their hard work, and are highly regarded in the appellation. The clay-limestone hillsides of the Kimmeridgian chain are excellent for growing dazzling, complex Chardonnay, also known here as “Beaunois.” However ideal the soil, Olivier brings his own brilliance to the table. The grapes from his vineyards throughout the Chablis appellation are blended into one fabulously complex village wine cuvée. He also bottles an extraordinary premier cru from Fourchaume, as well as a separate cuvée of old-vine fruit in heavy, wax-sealed bottles after élévage in demi-muids. These exquisite wines are quintessential Chablis, with unmistakable aromas of ancient crushed shells and a pronounced, racy mineral structure. I like tannic wines without heaviness; with fruit and floral aromas. I don’t like weighty wines with hard tannins. My favorite wines are St Emilion from Bordeaux, and Chambolle-Musigny and Nuits-St-Georges from Burgundy. Every vigneron naturally chooses to make wines in the style they prefer. It works well that Kermit and I share the same taste; it’s what has allowed our relationship to last for so long. Picking when the grapes are perfectly mature, traditional whole cluster fermentations, aging in large old oak foudres, and bottling unfiltered in the springtime have characterized the house style. According to Bernard, one of the most unique qualities of the domaine is the quality of the soil that they farm. 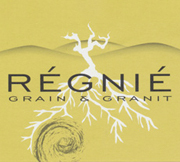 Crumbly granite allows the vines to plunge easily towards “gore” subsoil, which feeds the vines, while adding a pronounced mineral component to the wine. (James E. Wilson, author of Terroir, explains gore to be an accumulated mass of sand and thin clay deposits with weathered feldspars, mica, and quartz.) Given the old age of his vines, anywhere between forty and one hundred years old, yields are naturally small. These are wines that are easy to enjoy in their youth but can handle years of cellar aging with great ease. In 2007, Bernard wanted to retire but had no heirs. He appointed Thomas Patenôtre as his heir apparent, which has turned out to be an easy transition. We are grateful that the Diochon tradition continues through Thomas, safeguarding the ancestral methods that distinguish real Beaujolais from the mass-produced and highly over-commercialized juice that floods the market today. Although the names Asti and Alba may be more widely recognized today, Pietro explains that the Monferrato provides more faithful expressions of Barbera. This is due in part to the warmer climate and longer hours of sunlight here, which allow the grapes to ripen completely and unfurl the full personality of the variety. The Monferrato is also still relatively untamed, and the forests and fields here benefit the area’s vineyards by providing a natural source of variety. At Valpane these factors combine to provide meaty Barberas that nevertheless offer plenty of lively fruit. 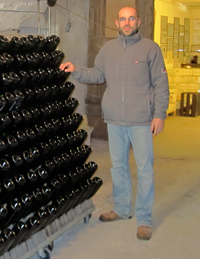 Pietro then lets them sit in large oak botti and cement tanks for several years, depending on the cuvée, and releases them only when they are ready.